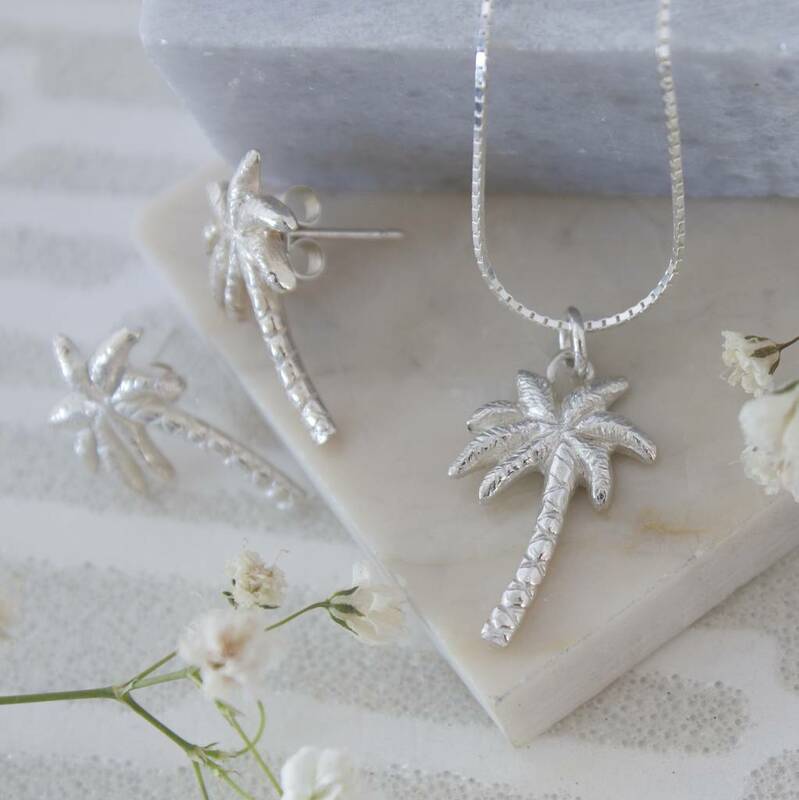 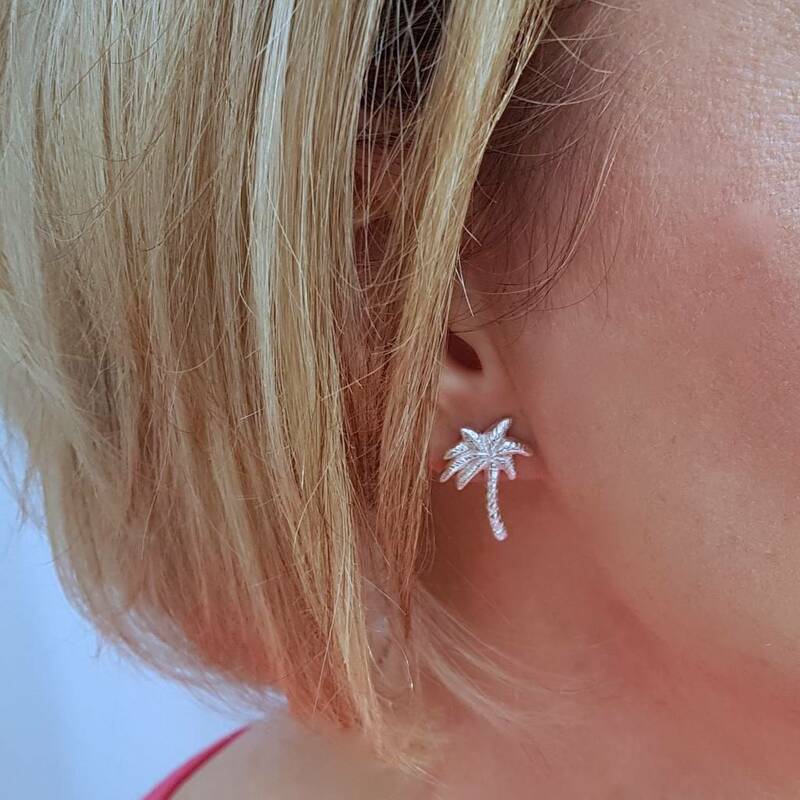 Palm Tree Earrings in Sterling Silver created by Caroline Brook. 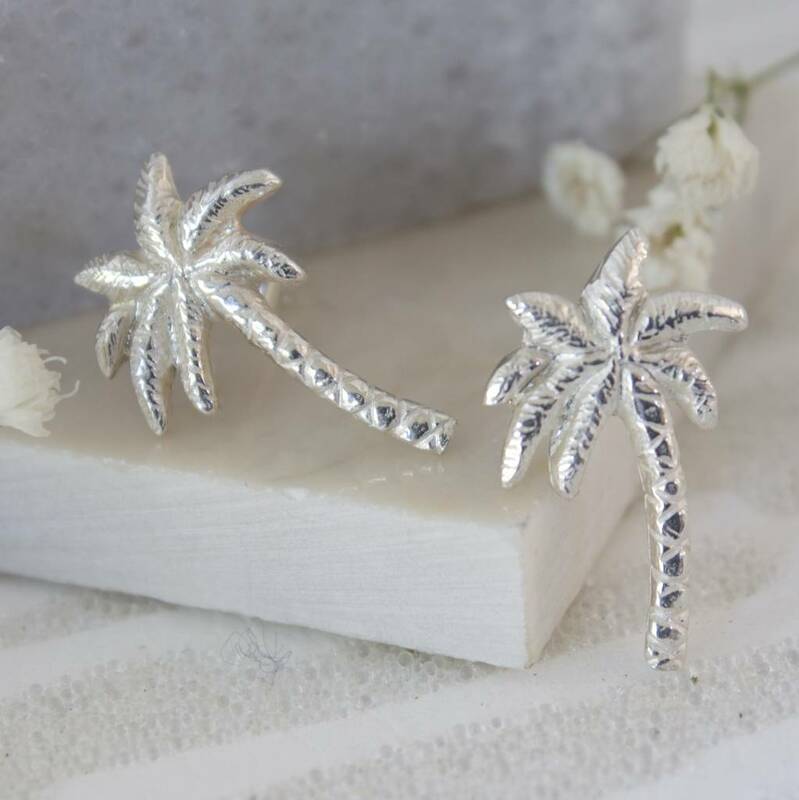 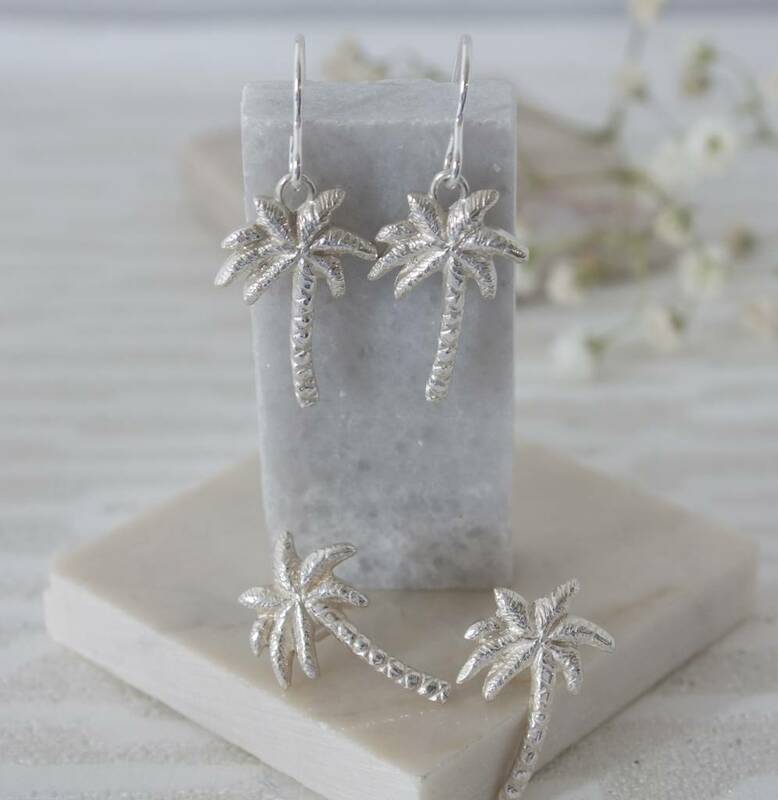 Thoughts of tropical beaches and summer holidays, these exquisitely carved silver palm tree earrings are eye-catching and unique. 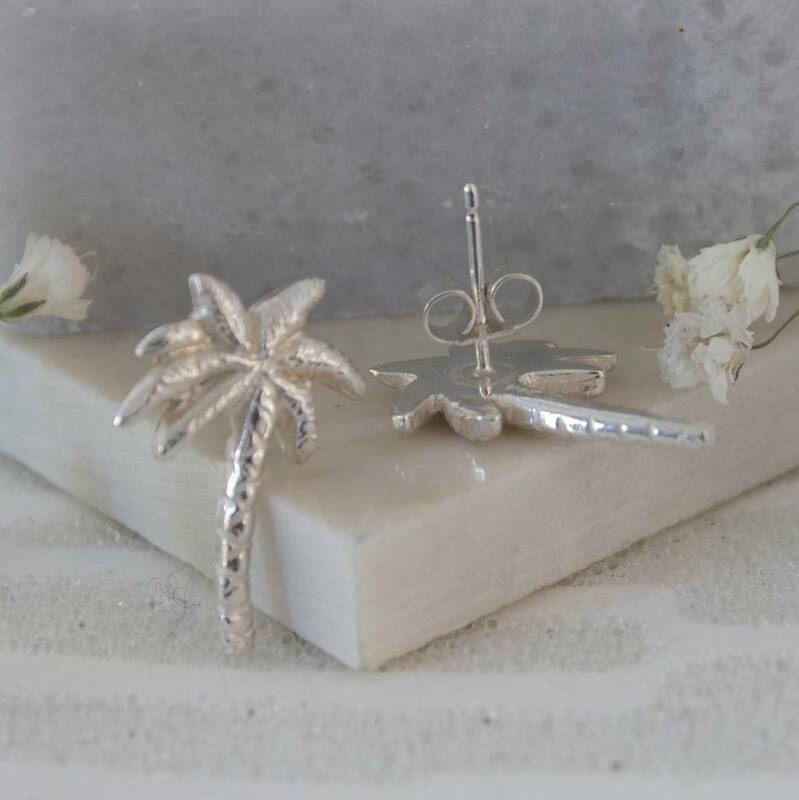 Hand carved in wax and cast in sterling silver. 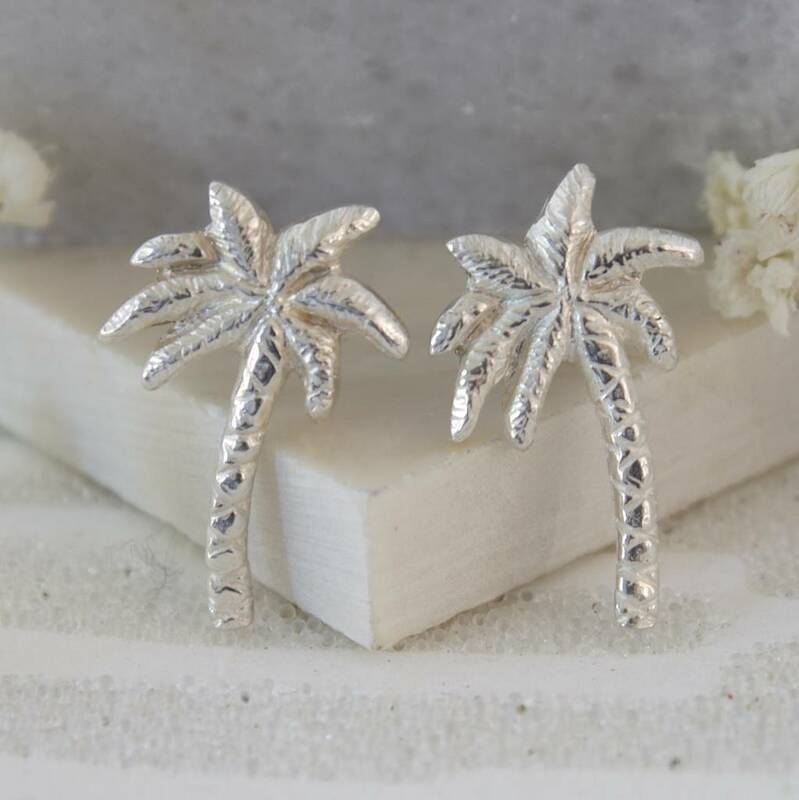 Each palm tree is polished to highlight the tiny hand carved leaves and trunk. 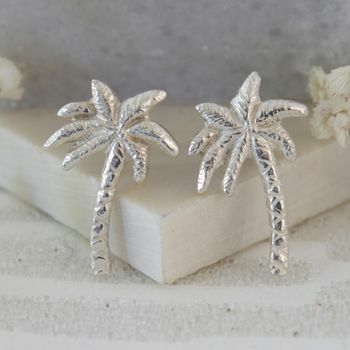 These pretty tropical earrings are available as studs or drops and can be added to with a matching necklace.